Dunbar Systems, Inc. is the leading provider of knowledge-based design and engineering services to the baking industry. With over 1,200 successful implementations, our services range from a small concentrated system to a full production line. Handtmann equipment has been incredibly successful in bakeries worldwide for many decades. It has been the choice of many innovators and experimenters looking beyond the norm for solutions. Petrochem, Inc. is a producer of premium specialty lubricants and sells proofer, cooler and oven chain lubricants to food processing, bread and tortilla bakeries worldwide. Petrochem lubricants have earned many OEM approvals. 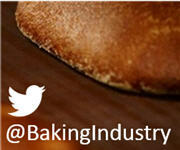 Rademakers is your partner in food processing and bakery equipment. We deliver the production solution for any dough or pastry based product, and our engineers support you in any way. For 50 years, Reiser has been a leading supplier of processing and packaging equipment solutions for the sausage, meat, poultry, seafood, prepared food, bakery and cheese industries. Bundy’s newest family member, Shaffer, offers the most extensive and innovative line of horizontal mixers in the baking industry. Shaffer is raising the industry bar on bread moulders, trough lifts, dough chunkers and conveyors. Our goal was and still is to enhance each customer’s production process with solutions that provide accuracy, accountability and consistency in an economical manner. We are committed to each and every customer, not as a supplier but as a partner. Sollich North America is a leading supplier of food machinery, systems, processes and services in the United States and Canada. Our team has more than 80 years combined industry experience. Topos Mondial, a bakery machinery sales and consulting company, offers new, fully remanufactured, reconditioned, rebuilt, and "as-is" bakery equipment. Topos Mondial will custom build to suit your specific needs.